Women’s Soccer swept its slate last week, emerging with wins over the UMass-Amherst and Richmond. The Minutewomen and Spiders only managed one combined goal against the Rams, as five different players scored for the Black and Gold. 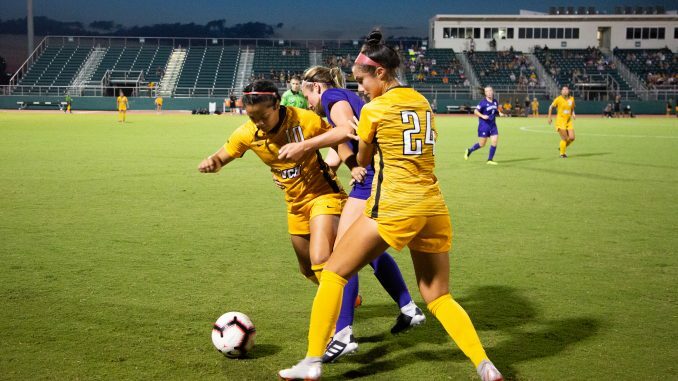 VCU improved to 12-3 overall and 7-1 in conference play, and has scored 30 goals for the season. The Rams traveled to Massachusetts to take on the Minutewomen Oct. 14, edging out the northeastern team by a score of 1-0. Redshirt-senior goalie Audrey Sanderson made five saves — giving her 46 on the season — and tallied her sixth shutout. Sophomore midfielder Samantha Jerabek scored the lone goal of the match. The Rams and the Minutewomen practically matched each other shot for shot, totaling nine each. Jerabek’s goal came just past the 64th minute, following a scoreless first half. Jerabek also tallied the first shot for VCU just four minutes into the game. The defensive side for the Black and Gold held the Minutewomen to nine shots, just five of those on goal. UMass managed just one shot in the opening half, later rebounding with a volley of eight in the last 45 minutes. But Sanderson turned every shot away, and the Rams took home their second win of the week. Senior night at VCU saw the Rams host the Richmond Spiders for an in-state rivalry game. 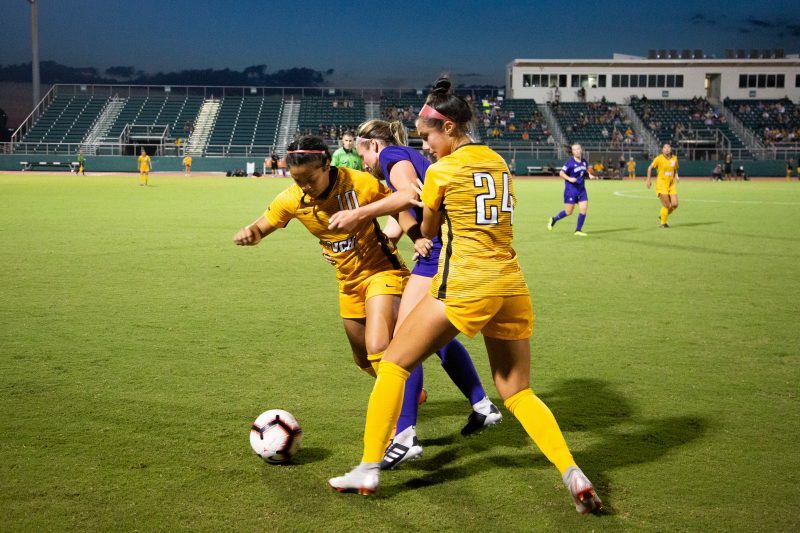 The Black and Gold routed the cross-town Spiders with a 4-1 victory, as VCU scored all four goals in the first half, only allowing the stand-alone score to Richmond in the latter half of the game. With the win, VCU improved to 11-3 overall and 6-1 in-conference in the penultimate home game of the season, with scoring from four roster members. Sophomore midfielder Kimberly Ito and redshirt-junior defender Megan Enos netted their first goals of the season, scoring seven minutes apart. Sanderson made four saves. Redshirt-junior defender Amanda Tredway kicked things off with a 12th-minute shot that broke the stalemate and sent the Rams on their way, with junior defender Sarah Gibson and redshirt-sophomore midfielder Emma Kershner adding assists. Freshman forward Idelys Vazquez put the Black and Gold up 2-0 in the 24th minute, slicing the ball past Spiders goalie Emily Wigg. Ito’s goal came just eight minutes later, continuing the Rams’ offensive assault. Ito sailed a rocket home from outside the 18-yard box, helped by a pass from senior midfielder Maddi Santo. Enos’ goal came courtesy of senior defender Stephanie Stahl, crossing the Spiders’ goalkeeper and scoring right in front of the posts. VCU will finish off its schedule with two more games of Atlantic 10 play. Next, the Black and Gold will travel to the University of Rhode Island for a 7 p.m. kickoff Oct. 18. The Rams will return home for the final game of the season Oct. 21, facing La Salle University at 1 p.m.